I recently finished teaching Horace, Epistles, Book 1, to my fourth-year Latin poetry class. One of the things I like about my current position is that I get to teach texts that have no direct bearing on my research. I research late antique Latin prose letters written by bishops of Rome. The fact that they are letters in Latin is the strongest link these texts have to Horace. I get to teach literature that I simply like with no wider vision in mind. I even got to choose — Horace’s Epistles, Ovid’s Letters from Pontus, one of Ovid’s Heroides, and some of Ausonius’ verse letters (I couldn’t keep Late Antiquity out!). Not all of my students enjoy Horace. For some, it’s simply that, compared with Ovid, Heroides 1, Horace’s Epistles are more difficult, both in terms of Latin grammar and vocabulary and in terms of grasping what he means. Horace is harder to interpret, at least here. Some dislike the moralist attitude he often adopts in the Epistles, others aren’t enamoured with his love of the countryside. I, on the other hand, really enjoy Horace’s Epistles. In fact, I like Horace at large, even with ‘dulce et decorum est pro patria mori’ (it is sweet and fitting to die for one’s fatherland) and ‘odi profanum uulgus et arceo’ (I hate and shun the profane mob). I also have to admit that I don’t always agree with Horace’s philosophy. The basic principles of Horace’s philosophy as spelled out in the Epistles seem okay to me — live a contented life whatever the circumstances; each man is the measure of his own freedom; indebtedness to others is no true freedom; live in accordance with your own nature, even if that means you differ from other wise men; Homer offers more wisdom than the philosophers. Nevertheless, his own self gets in the way. Sure — live a contented life wherever you are. But wouldn’t you rather live in the country like me? Isn’t it better to avoid the City (Rome) in August and September? I can see how some people, reading always with suspicion — especially with suspicion of wealthy aristocrats — would dislike Horace for this, let alone his two famous phrases above. But for an individual reader, balancing the positive and negative will not always work. Can we love Horace without having to like him? Well, we can theoretically love our neighbours and enemies without always liking them. Perhaps we begin with the balance — the fables, the beauty, the philosophy, the syntax, the morals. Uneven. Unequal. Human. Rather than trying to allow the good to outweigh the bad, simply acknowledge this situation. Maybe then seek empathy. His inconsistencies in philosophy, for example, merely make him human, not a bad poet. Consider why he loves the country. Consider the strengths and weaknesses of his philosophical and moral statements. Then read the Latin aloud for its sonorous beauty. Parse a sentence and see his art, grammar, syntax, all at work at once. Read Horace as high art, beautiful poetry, created by a flawed human, as weak and feeble as all of us. Maybe then the resistant reader can come to love him. Finally — loving Horace is different from loving Ovid, and different again from loving Virgil, let alone from loving Shakespeare or T S Eliot. And that’s okay. But I think you could try this with any author. Full disclosure: The inspiration for this post was Alan Jacobs, A Theology of Reading: The Hermeneutics of Love. This entry was posted in Ancient World, Books, Classics, Literature, Other Poetry and tagged a theology of reading, alan jacobs, epistolography, horace, latin, latin epistolography, latin poetry, the hermeneutics of love, verse epistles on October 13, 2018 by MJH. Last night I had my first academic job interview — over Skype! It went well, and I believe that I gave them accurate and coherent answers that reflected me positively. The question is whether I am what they want for the job. I do think, though, that I stumbled a little on one question, and I’m not sure why. The question was what patristic or late antique authors I’d like to study besides Leo. I answered that I would like to study Cyril of Alexandria and the Acts of the Council of Chalcedon, as well as autobiography, such as Augustine’s Confessions and Rutilius Namatianus. That answer was not untrue, but I feel that I could have said the first part better, for one thing — that I am interested in studying Christological controversy from Chalcedon (451) to the Istrian Schism (553-700) in the West and the Sixth Ecumenical Council in the East (681). But I wonder (because, even after a good interview, one can’t help but wonder these things!) if I might have done better to emphasise the breadth of my interest. I have a long-running interest in things monastic, you see. Indeed, it was the Desert Fathers that drew me into the study of Patristics; having had an interest in St Francis and St John of the Cross in undergrad, I wanted to hunt down the roots of the monastic tradition. Letters. Epistolography is another area of interest. Cyprian, Ambrose, Augustine, Jerome, Symmachus, Sidonius, Ruricius in Latin, Basil and Cyril of Alexandria in Greek. But I answered truthfully, at least! And remembered to smile, which always helps. This entry was posted in Ancient World, Books, Christianity, Classics, Literature, Monks and Monasticism, Patristics and tagged autobiography, christology, epistolography, job interviews, late antiquity, monasticism, patristics on January 10, 2016 by MJH. In my peace and quiet on Saturday, I finished my ten-month journey through D R Shackleton Bailey’s translation of Cicero’s letters to Atticus, published by Penguin Classics (now out of print). Now, it’s not as though the letters to Atticus were all I read in those ten months. I did things like re-read Beowulf and The Hobbit and The Great Gatsby. I read Catullus. I read The Prose Edda and The Saga of the Volsungs. But Cicero’s letters I dipped in and out of. My copy is from when Penguin still thought pocket books were a good idea, but the era when they were that matte black for spine and back cover — you know, the ones that turn 1/4 white or more by the time you’re done reading the book. Having been carted around about Britain and overseas in my backpack, suitcase, leather shoulder bag, hands, having been read in cafés, parks, libraries, in bed, in my living room, on airplanes, on the bus, this book is not in the greatest shape. Two factors were against the book’s pristine condition, besides the fact that it wasn’t pristine when I got it: 1. The era of Penguin it is; 2. the nature of the collection; I was bound to take a long time reading Cicero. Cicero’s letters to Atticus are not always the most rivetting material around. I mean, neither are Leo’s letters. So that is as it is. So sometimes the reader just needs a break. Sometimes it’s the sameness of them — ‘I have nothing to write, but I’m writing anyway. Whether you have something to write or not, write anyway.’ That is the most common of them. Or, because a letter is one half of a conversation carried out over several days and great distances, it can take a very long time for Cicero and Atticus to deal with certain matters. And you never get Atticus’ half. Nevertheless, I am glad to have read them. It is no exaggeration that Cicero is one of the two people we know best before the modern era (the other is Francesco Di Marco Datini [1335-1410], the merchant of Prato). The letters to Atticus, unlike some of Cicero’s other missives, are Cicero laid bare. When he writes to Antony, he may say, ‘You are my best friend; to do what you want is not a duty but an honour,’ but when he says that sort of thing to Atticus he means it. A lot of people find Cicero stuffy. Or they poo-poo him because of his pride over how he dealt with Catiline. Be that as it may, when you read the letters, especially from his exile in 58-57 BC to the end of the Atticus correspondence, you start to see him more fully, more rounded. He’s not simply stuffy. He is a real man, with real emotions and a love for his country. This is visible in the Civil War between Caesar and Pompey, and then in the aftermath of the Ides of March that covers the last period of the book. I am always struck by Caesar; at a certain level, I kind of like the guy. And sometimes I’ve even believed the lie that the Principate (aka Empire) was inevitable. Cicero’s letters pull the rug out from under these after-the-fact readings of history. He may not have the solution. You may not agree with all of Cicero’s ideals, but that doesn’t mean that Augustus (the first emperor) was a natural, unavoidable phenomenon. Reading Cicero’s letters I found myself siding for the first time with Brutus and Cassius. You see him early in the collection mentioning letters of consolation. And then, years and years later, his daughter Tullia dies. And he grieves as deeply as I believe many a father has throughout history. He goes into seclusion for a period. He reads all of the philosophers on death and consolation. He plans building Tullia a shrine. He goes through real grief. Cicero is a real man. Like him or not, how can you not be moved by grief such as his? If you are a Classicist or a great enthusiast for Cicero/the Late Republic, I recommend you read the whole of the collection of letters to Atticus. You will find reflections not only on the politics of the era but also on art and literature and philosophy and how to lead the best life. It is worth reading. If not, I still recommend Cicero’s letters. Penguin subsequently released a Selected Letters, that draws not only from those to Atticus but to others as well, and which is smaller than the collection to Atticus, anyway. Check it out. You may just learn something and come to appreciate one of the great men of history. This entry was posted in Ancient World, Books, Classics, History, Literature and tagged ad atticum, atticus, caesar, cicero, epistolography, ides of march, letters, pompey, principate, shackleton bailey, tullia on April 22, 2013 by MJH. The idea of writing a post such as this has been floating around in my head for a good, long while now. Letters, epistles, epistolography, are often thought of as ‘sub-literary’ or ‘documentary’ ‘evidence’ for the study of the history of a particular period or person. That is to say, the value of the letter as a piece of writing is to be found in the information which the scholar or other interested party can mine from it. The implication, on the other hand, that letters are actually literature says that letters are intrinsically interesting of themselves. That is to say, you can read the letters of Cicero or Pliny the Younger of Ambrose of Milan or Leo the Great or Boniface or Abelard and Heloise or Erasmus or J R R Tolkien or C S Lewis for themselves rather than for their content alone. I am not arguing that letters are not useful documents — from them we learn the tastes and friendships and horrors of individuals as well as, quite frequently, the events of their times. So Cicero’s letters to Atticus of the latter part of 50 BC and through 48 BC provide the student of the conflict between Caesar and Pompey an interesting and informative angle on this highly important Late Republican series of events. Or the letters of Pope Leo the Great from 448 through 455 are important sources for the events leading up to and resulting from the Council of Chalcedon in 451. Nevertheless, what I am saying is that letters are more than simply useful documents. They are interesting documents. Without knowledge of Latin, certain varieties of artistry in the letters of Pliny the Younger (c. AD 61-113) can come to the fore concerning how he constructs his identity or the concerns of what good style and oratory are. The art of philosophy is readily apparent in many of the letters such as those of the famous Stoic philosopher Seneca (c. 4 BC-AD 65) or the controversial philosopher-theologian Peter Abelard (1079-1142). 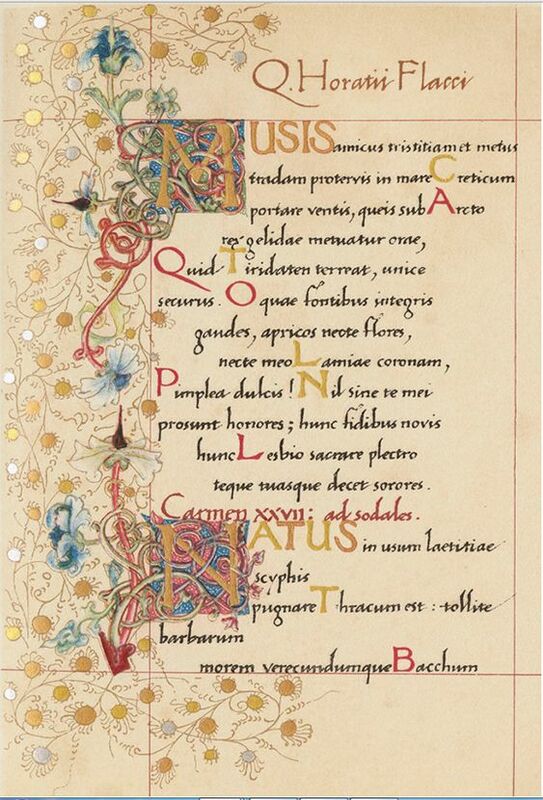 If you can read letters in their original tongue, be it Latin or Greek, English or French, you can get a glimpse of their artistry in another manner. 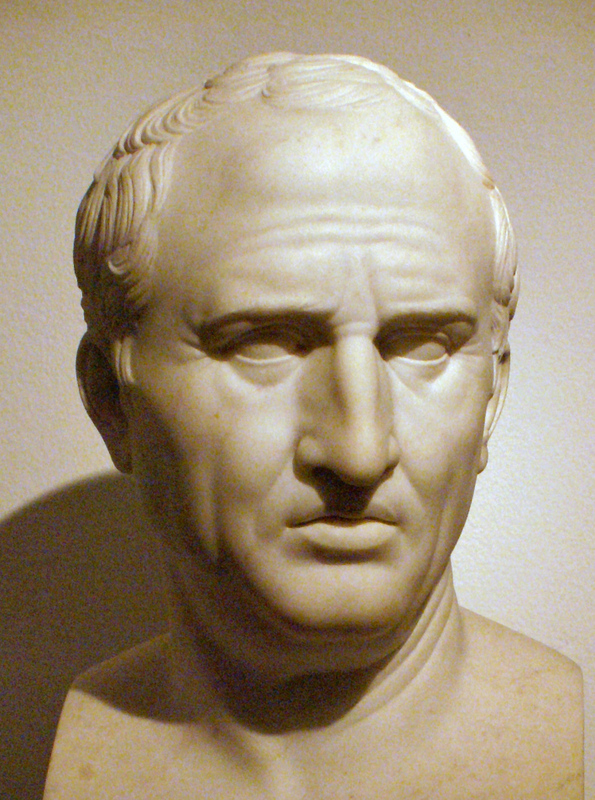 For Cicero the orator is not stylistically identical to Cicero the epistolary correspondent. Likewise Leo the Great. Not having read any of the letters of C S Lewis (1898-1963) as an adult, I cannot say for him, but I would be unsurprised if his letters differ from his essays and lectures in terms of style as well. Furthermore, an investigation of the style of these letter-writers will reveal their use of literary devices, from devices of sound to puns to literary tropes. I, myself, have done an analysis Pope Leo the Great’s Letter 28, the ‘Tome’, and have found it full of rhetorical devices of balance and antithesis, thus mirroring the theological content of the letter. Of course, my reference to Leo’s ‘Tome’ brings up another issue surrounding the literariness of letters. All letters, whether real ones such as Cicero’s or fictive ones such as C S Lewis’s Letters to Malcolm, are written with a particular audience in view. Many of these, however, including many of Cicero’s, have a wider immediate audience than the ‘intended’ recipient — most famously, the letters of Paul the Apostle (AD 5-67) have found themselves in almost every language on earth in the hands of people living in places the Apostle did not know even existed. Certainly, Paul did not think of the Papuan living in the 21st century when he wrote. Yet he was also undoubtedly thinking beyond the Corinthians of his own day as well. Thus does Leo write his ‘Tome’ to Flavian of Constantinople yet put enormous rhetorical effort into it, not only in the devices employed but also in the cadence and rhythm of the words, consistently using a prose rhythm known to us best from Ammianus that will last throughout the Middle Ages, but also the prose metre known to us best from Cicero. This consciousness of a wider audience in the letters of people such as Cicero or Pliny or Leo or Erasmus leads to more careful artistry in both the original copy as well as in polished versions presented for publication. This careful literariness in so many of the famous epistolographers of history should make us pause when we read them, then. How are we to say that this is a less ‘mediated’ version of the character we are reading? Pliny has polished his letters and arranged them to produce a particular vision of himself. Leo has similarly polished his letters and sought to uphold certain values throughout. Who knows what that pope would fear and wonder in the dark nights of Vandal invasions of Rome? All of this is to say — read some published letters. They run through a range of subjects from oratory to philosophy to poetry to any other piece of literature to art and architecture to theology to politics to daily life to economics. They do so with a certain style that raises them above mere ‘documentary’ evidence for the past. M. Tullius Cicero. I would recommend them all, but they are legion, so read D R Shackleton Bailey’s Selected Letters (Penguin Classics) instead. Online: The complete letters in English at the Perseus Project. L. Annaeus Seneca. A nice sampling of Seneca’s letters is in the Penguin Classic Letters from a Stoic translated and selected by Robin Campbell. Pliny the Younger. The Letters of the Younger Pliny. Translated by Betty Radice (Penguin Classics). This corpus is short enough that you can read them all; furthermore, there is much to be said for reading an entire collection of letters as its author/editor intended. Ambrose of Milan. Ambrose’s letters vary greatly in subject matter; therefore, to get a sense of the man, read the selections gathered in the Translated Texts for Historians volume, Political Letters and Speeches as well as the small sampling in the Nicene and Post-Nicene Fathers Ambrose volume, available online. Pope Leo I (the Great). No translation exists of all of Leo’s letters, but the bulk can be found in the NPNF volume, available online, and a somewhat different selection in the volume from The Fathers of the Church, translated by Edmund Hunt. Boniface. I’ve not read all of Boniface’s letters, but I found those I did read to be of interest. There is a recent edition by Ephraim Emerton, and they are also available through the Internet Medieval Sourcebook. Peter Abelard. There is a Penguin Classic, The Letters of Abelard and Heloise, translated by Betty Radice, where I first met these two star-crossed (and on his part castrated) lovers/monk and nun. Francesco Petrarch. Petrarch, as a ‘Renaissance’ humanist, takes up many of the perceived ideals of epistolary writing found in Pliny and Cicero. A selection is available through the Internet Medieval Sourcebook. C S Lewis. Letters to Children. This I own and enjoyed in my youth. —. Letters to Malcolm, Chiefly on Prayer. This is an interesting series of fictive letters to a correspondent called Malcolm. An interesting project from a literary standpoint. —. Letters. Walter Hooper has edited all of them, I think; but there must be a ‘selected letters’ out there for the faint of heart! J R R Tolkien. The Letters of J. R. R. Tolkien: A Selection, ed. Humphrey Carpenter. —. Letters from Father Christmas. This amazing volume contains letters Tolkien wrote in the person of Father Christmas to his children. It is a delight! There are, of course, many more bodies of correspondence out there to be discovered. I just know very little about them or have not read them at all, so I am not keen to recommend them. Add your own recommendations in the comments! This entry was posted in Ancient World, Books, Classics, History, Literature and tagged abelard and heloise, c s lewis, cicero, correspondence, epistolography, j r r tolkien, leo the great, letters, peter abelard, pliny the younger, seneca on January 3, 2013 by MJH. I am currently engaged in the task of reading D R Shackleton Bailey’s Penguin Classics translation of Cicero’s Letters (now out of print, but you can get his most recent translation in Loebs!). I have begun with those to Atticus, shall take a break and read some other ancient literature next, then move on toAd Familiares. This for both ‘professional’ and personal interest. If my speed at Latin were higher, I’d read them in Latin. But it’s not, so I’m reading them in English. I have previously read various of Cicero’s letters in the original Latin, both for my MA at the University of Toronto and in a Latin Text Seminar I audited here in Edinburgh this past autumn. Reading a very large block of them all in a row is a different matter, however. Today I finished off the letters of 59 BC and read all of his letters from exile. What strikes me most immediately is that, even with Shackleton Bailey’s useful notes, is that Cicero’s letters are simply not an entry level piece of Latin literature. For someone not versed in Roman history, especially of the Late Republic, or of the Republican political system, or in some of the characters alluded to, or the poets and philosophers quoted, Cicero’s letters would be almost completely impenetrable, I fear. This is why, I imagine, Penguin allowed these to go out of print and, instead, prints a slim volume of Select Letters. Nevertheless, for those of who are acquainted with Roman history, whether through university courses such as Richard Burgess’s wildly popular ‘Introduction to Roman Civilization’ at the University of Ottawa or through books such as H H Scullard’s From the Gracchi to Nero, Cicero’s letters are fascinating. Here we see the scuttlebutt as it was transmitted from leading man to leading man! This is private correspondence, never intended for publication. So, unlike Pliny’s letters of over a century later, these dance about from topic to topic, they talk in veiled terms about people in case they fall into the wrong hands, they are about friends and enemies, politics and the economy, war and child-rearing, literature and art, architecture and exile. Cicero’s letters give us a vision of an ancient man as himself. There is not the consciously employed wit of an Ovid or the almost invisible narrator of Virgil. Nor do we have here his public face, found in his many oratorical remains. He may be trying to put his best foot forward at all times, but these letters are a safe environment. He can be himself. Not everyone likes what is found, to be sure. But we cannot deny that Cicero’s letters are invaluable as sources for his life, his character, Late Republican politics, and Latin literature. We would be worse off without them, indeed. Next post: Thoughts on exile…. This entry was posted in Ancient World, Books, Classics, Literature and tagged cicero, epistolography, letters to atticus, shackleton bailey on June 30, 2012 by MJH.